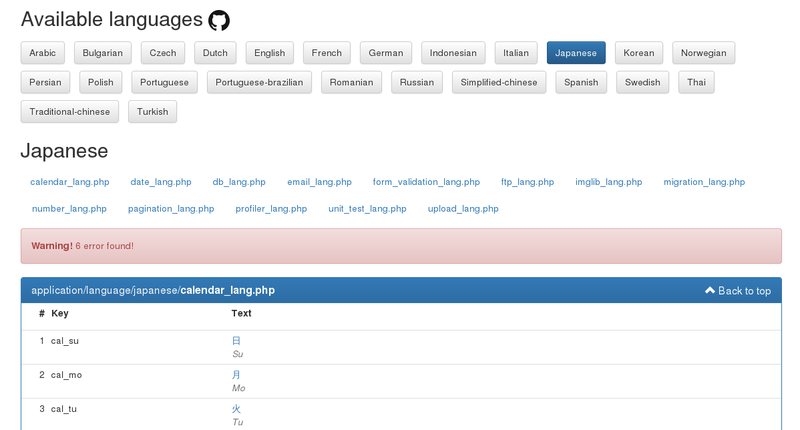 All available languages are displayed. 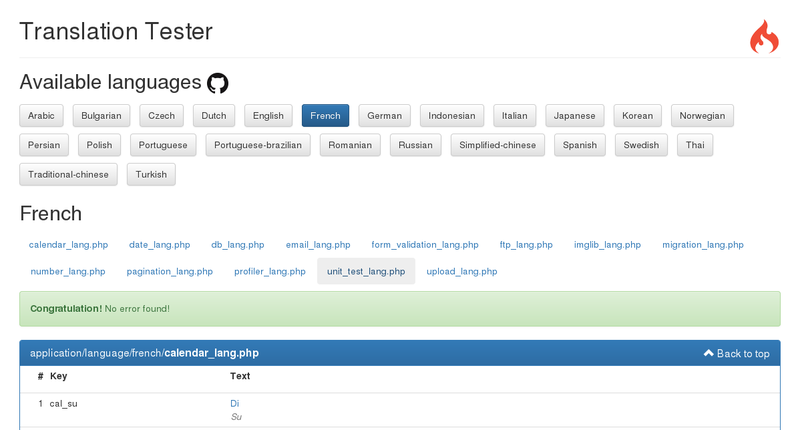 Select the language you want to test by clicking on its name. 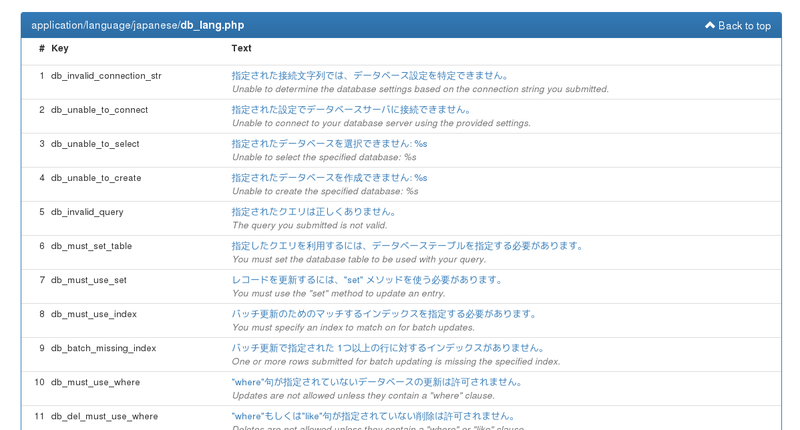 Compare the original text side by side with its translation to check the quality of the translation. 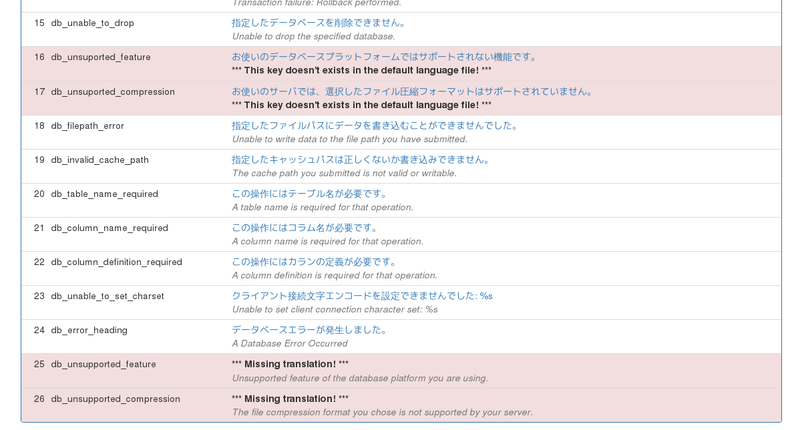 Immediately see if a translation contains any error. See a description below each erroneous translation. 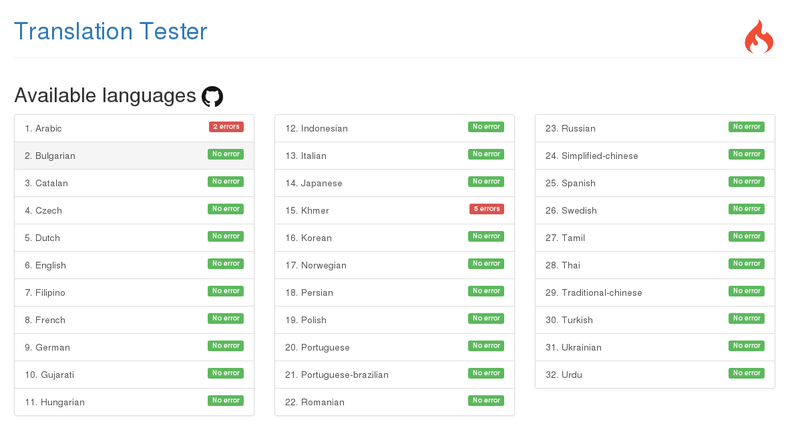 The summary gives you a quick look of the number of errors for each languages. 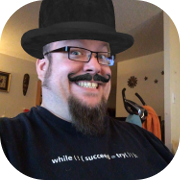 Added a button to only show errors.